All products are subject to a rigorous, multi-layered, brand-specific authentication process by our team of luxury brand authenticators, horologists, gemologists. Luxepolis has partnered with the best authenticators all over the world to ensure that no fake products are (ever) shipped from our warehouse. Luxepolis authentication team inspects all goods for appropriate product material used, hardware used, ​zipper quality and make, leather trimming, seam line stitch consistencies, ​brand markings and logo printing and embossing, date codes or serial tags and hologram stickers. We are also registered with leading authentication groups, forums and industry bodies that most luxury brands are associated with. over 500+ luxury and premium brands across categories. Ana has worked for several well known authentication services in the past, and is valuable asset to the team. She collaborates with other authenticators to keep updated on her specialties. While she authenticates several brands, her favorite is Tiffany & Co., which she collects, and also volunteers helping others with authentication in various social media groups. Alessandra's past experience includes working as an expert in an auction house, where her experience has grown to know many luxury brands. She is very active on several social media sites, dedicated to authentication and authentic sales and trades. Alessandra often visits boutiques to the newest models, so that she can keep updated. Alessandra works for several authentication services and assists second hand stores with their authentication needs. Antonia has gained her Louboutin expertise from her own collection, which exceeds 150 pairs of shoes. Dedicated only to 1 brand, her expertise for spotting fake and authentic Christian Louboutin is second to none. Catie is founder of an e-commerce consignment business who has procured multi millions worth of Chanel products. 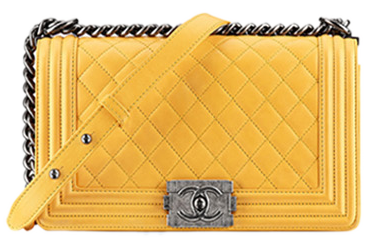 Through this business, she quickly learned to authenticate Chanel items of all types. Her dedication to Chanel has enabled her to know the brand inside and out, which is required to spot the intricacies that Chanel Is known for. Debbie's love for Kate Spade began with her own collection of vintage bags. She collaborates with other Kate Spade experts to keep up on current changes in production, as well as the newest releases. She is very active in authentication on a well known social media site, as well as works for several authentication services. Dawn gained her love of luxury goods at a young age from her aunt, who has a great collection of designer handbags. She currently works at a fashion store as a visual merchandiser. Her past experience includes working at a consignment shop, where she saw a large amount of counterfeit merchandise. This experience helped her to be able to determine authentic from not authentic easily. Specialties: Hermes leather and exotic skins, especially Birkin and Kelly styles. Demetrius has extensive Hermes knowledge and is one of the top experts in the world. He gained personal experience from the craftsman themselves, in which he helps to weed out counterfeits and help buyers and sellers trade safely. He has a great passion for what he does and is meticulous in his work, which he takes very seriously. Giorgio owns his own consignment shop, in which he uses his skills to buy and sell luxury goods. He is passionate about watches, and loves to collect them. This love has made him an expert watch authenticator, where attention to the smallest of details is crucial. He is also experienced with other brands, such as Hermes and Nancy Gonzalez. Jane gained her experience of authentication through extensive research. This includes visiting boutiques across Europe and checking bags for changes, such as new heat stamps, hardware, and new releases. She has an extensive Celine collection, as well as her own small business selling luxury brands. Jane is also an authenticator for several well known authentication services. Madison owns several businesses, including a restaurant and a vintage designer boutique. Her love of vintage Louis Vuitton has taught her skills needed to authenticate items back to when the company was founded in 1854. Makenzie owns her own e-commerce consignment shop and authentication service. She is dedicated strictly to Louis Vuitton and know the brand inside and out. Margaret has extensive experience in all things Hermes for over 20 years. Her extensive collection includes refurbishing bags and accessories. She also authenticates jewelry, watches and ready-to-wear. She helps others with Hermes authentications on a popular social media site, and has sold Hermes professionally since 2001. Specialties: Burberry, especially vintage and clothing. Phoebe has worked for a large consignment shop, where she learned and practiced the skills she has today. She also has a popular blog and holds training seminars for retail establishments who wish to teach authentication to their employees. Samantha owns her own consignment business, as well as works for several authentication companies. This keeps her up to date on the brands she authenticates. She has a keen eye for fonts, coming from a graphic design background. She is active in several well known social media sites, volunteering her time to help with authentication. Sarah currently works at Calvin Klein Women's Ready to Wear Collection design and production office when she isn't authenticating. She also volunteers her time helping others with authentication on a popular social media site. She learned her skills from her own collections and years of extensive research. At Luxepolis, we understand the importance of trust. You are protected each time you place an order on Luxepolis. Every pre-loved luxury item is carefully authenticated by our in-house and overseas authentication teams with years of experience in spotting fakes. Before we ship any item to the buyer, we verify to match the description provided by the seller. If your shipment/order never arrives, we'll refund your payment. If your ordered item does not match the description, inform us within 3 days of delivery. Once we verify your claim, we'll refund your payment. Luxepolis Protect policy protects your order each and every time. Shop now with confidence & 100% peace of mind. In a rare event, if you suspect a fake item is shipped, inform us with in 3 days. We'll verify your claims and if founds to be true, we'll issue complete refund. Luxepolis fights counterfiet products. We have zero tolerance policy against fakes and believe that the true essence of luxury lies in fine craftsmanship and authenticity. We take every step to discourage sellers from listing fakes, including penalizing, banning the habitual fake sellers permanently from the Luxepolis community. We also work with brands to report fakes and work with the law enforcement bodies and luxury brand industry associations/groups to report fake product listings. Please feel free to email us at vip@luxepolis.com for further information on our charter against fakes.